This photograph of camphor tree (Cinnamomum camphora) leaves was taken at Martha McLean – Anza Narrows Park. 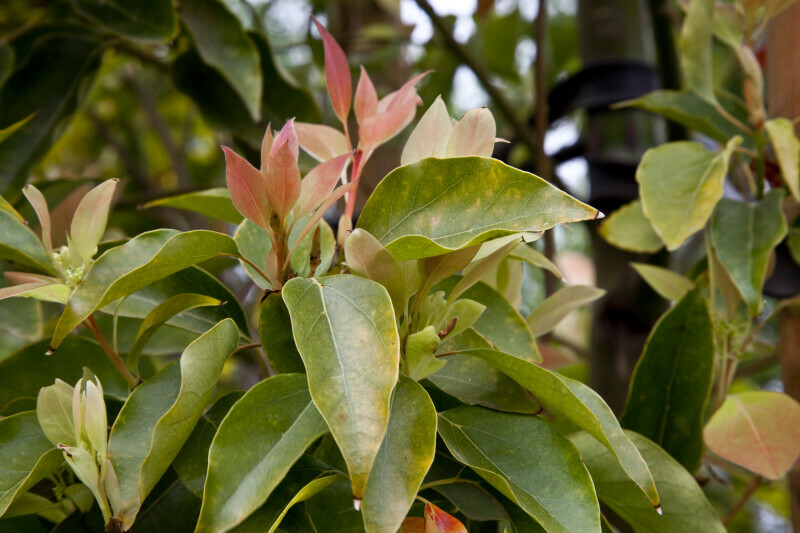 As shown, the leaves of camphor trees are tinged with pink, red, or bronze colors in the spring. WARNING: You are about to download a 28.6 MB TIFF!